Sometimes that's all I need, that little voice that says "you've got this"! So for anyone else that needs that little bit of encouragement. Consider this post yours. We all have those moments in parenting where we wonder "Am I doing this right? Am I screwing up my kid? Am I giving them the best chance for the future?" I will admit that some weeks I'm wondering that on a daily basis. Let me ask you this, are you doing what you can for your child? And by asking that, I'm not asking you if you are "supermom/superdad" because this is not about living up to perfection. I mean, do you spend some time with your kids? Do you tell/show your kids you love them? Then yes, you've got this. Those of you who have read this blog before know I tend to focus on travel. I decided to keep in that theme this week, although my destination is more of a "staycation" destination for me because it is my hometown of Saint John, NB. My work schedule, and the fact that we're continuing to do some work on my house, have made it pretty likely I won't get out for much in the way of travel this summer, so I've decided to "play tourist" in my own city. There's lots to see and do here, so I will be doing this through a series of posts. 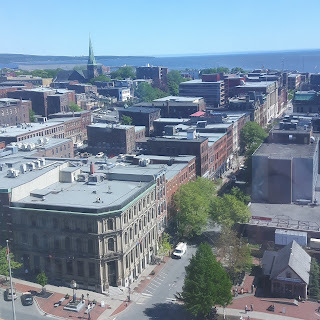 Given that I have readers from different regions/countries that may not be familiar with Saint John, I thought I would give some basic information about the city. 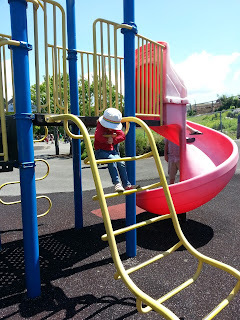 When this blog began, it stemmed from a previous "private" blog I had created for friends and family that don't live near by so they could see my daughter after she was born and learn about how she was progressing. I decided I wanted to reach out to a wider audience and connect with new people in addition to my small network of family and friends. I started this blog on January 14, 2011, and I haven't looked back. As cheesy and cliché as it may sound, I have found blogging incredibly therapeutic. It has seen me through job changes, frustrations, happy times and my most significant event, the loss of my dad in 2013. I try to stay authentic and real to my true self, and I hope my voice comes through in these posts. Blog posts take a little more work than, say, a Tweet or Facebook post, so my blog posts are not as regular here as they would be on social media platforms, where I tend to post several times a day. How Do You Use Your Travel Points? I'm going to make an admission. I love earning points - any kind of points - on purchases I would make anyway, like groceries. I belong to different grocery store points clubs, and I have more punch cards than you can imagine in my wallet, but my favourite are travel points. 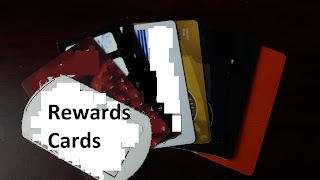 I won't get in to each individual travel rewards program and their pros and cons, but I thought I would do a general overview of how I make the most out of my points. Many travel rewards programs that are available right now offer both travel benefits like airfare, rental cars and hotels, but also offer little bonuses like the ability to trade your points for merchandise. So with so many options, how do you choose the best value?